According to Jewish tradition it is customary to blow the Shofar from Rosh Hodesh (the New Moon) of the month of Elul until the day before Rosh Hashana so that the people will be aroused to prayer and t’shuvah. 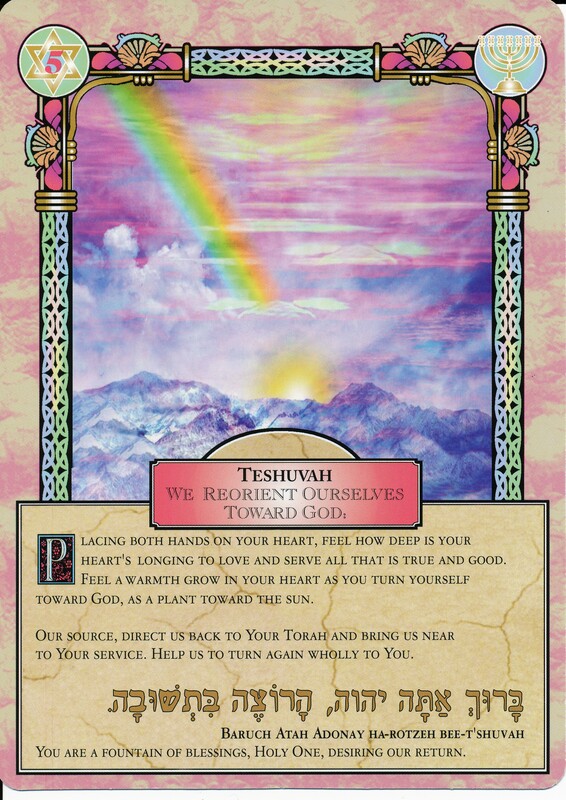 T’shuvah literally means “return.” Spiritually “return” is a process of re-alignment with the Divine Presence within us and around us, and with family and community. The process of t’shuvah is an ongoing one. Jewish tradition teaches that we should make for ourselves a daily “fixed time” for t’shuvah – a regularized practice of engaging in the spiritual work of re-alignment. T’shuvah becomes a regular feature of our daily spiritual work-outs, a Jewish “Soul Yoga.” As any yoga practitioner knows, a once-in-a-while workout does not produce a Yogi. So too, without regular spiritual practice, we can’t expect very high results. We live in a culture that places so many demands on us in the material world that it can become difficult to regularize any spiritual practices at all. From a Jewish point of view this is tragic and dangerous for individuls and society. While from the outside, Jewish tradition may sometimes seem like an array of “rules,” from the inside we know ourselves to be gifted with inspiring guidance for a life rich in soul-stretching spiritual practices. These interact synergistically to elasticize and tone our capacities to be vessels of Godliness. The great Christian mystic Meister Eckart taught: “Know that the eye through which you see God is the same eye through which God sees you.” T’shuvah asks of us that we take our own eye, which is the eye of God, and search our souls. We are urged to make a regular practice of carving out a special time for hitbodedut (seclusion, alone-ness with self) and t’shuvah (soul searching and re-alignment) during which time we are immersed in holiness with no distractions. Jewish tradition teaches us that our neshamah, the soul that was created within us, is pure and good like a holy spark. No matter what layers of tarnish life’s hurts and errors may have layered on, t’shuvah can bring us back to our fundamental goodness and godliness. Rabbi Marcia Prager is dean of the ALEPH ordination programs and author of The Path of Blessing. Image: from Reb Marcia’s Amidah Meditation cards, available from Amazon.